To encourage digital-age New York kids to put down their devices and pick up the forgotten art of churning ice cream, a mom of three opened CoolMess. 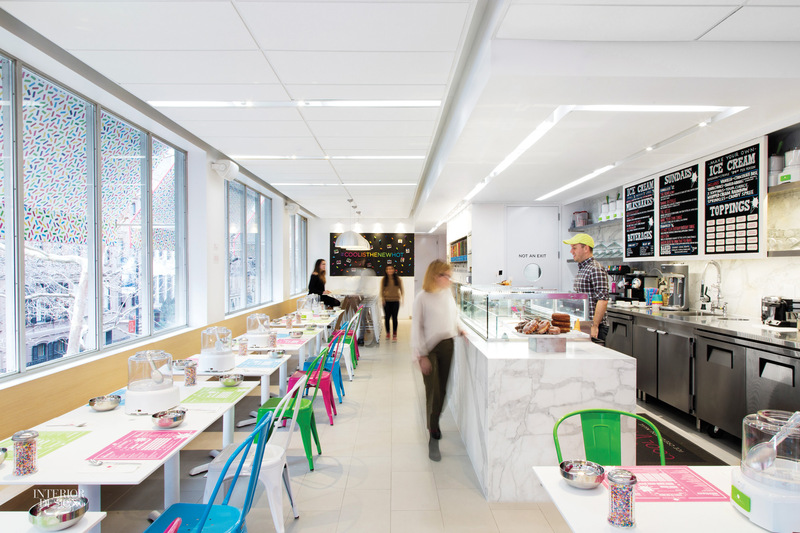 The dichot­omy between old and new wasn’t lost on Gensler principal Molly Murphy, who says she turned the 1,500-square-foot second-floor space into a mash-up of opposites: “subtle and bold, clean and messy.” The combo won the project a Margo Grant Walsh Award for cost-effective design. The Calacatta marble quick-serve counter. Photography by Chris Leonard/Gensler. 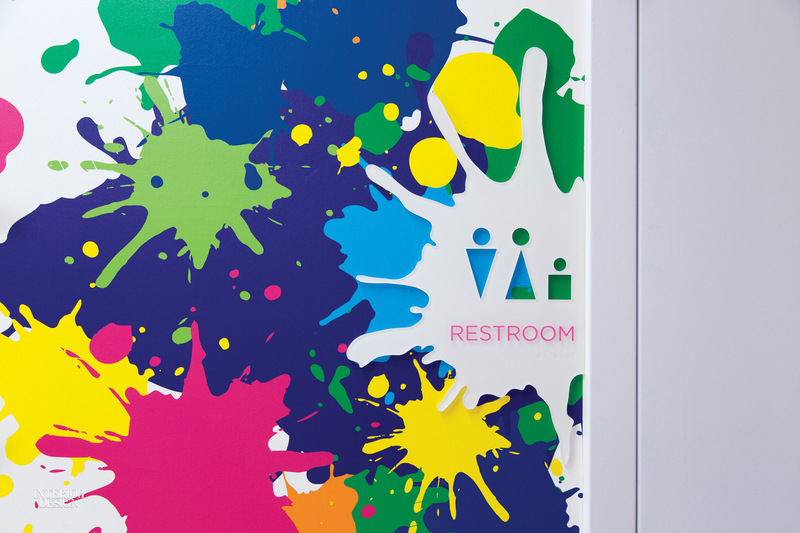 Senior associate Jessica Beck contributed graphics for the project. Photography by Chris Leonard/Gensler. 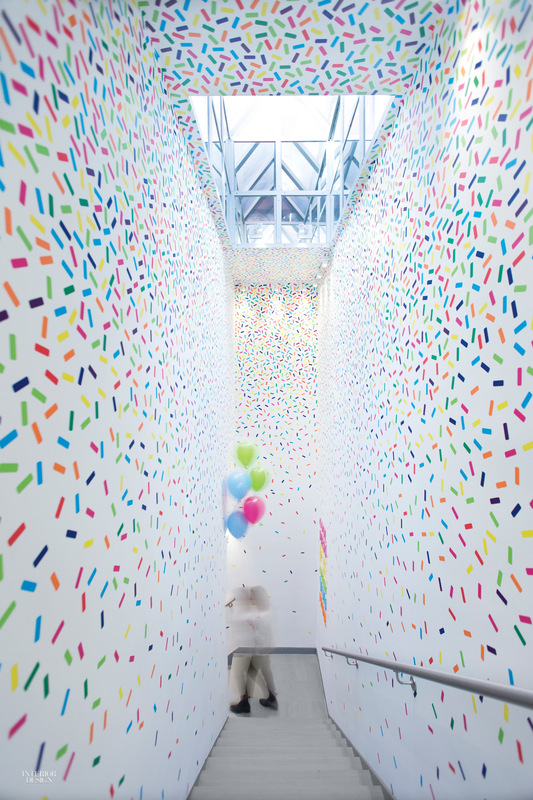 The immersive experience begins on the way up the stairs, as the walls’ pure white is gradually disrupted by an explosion of colorful sprinkles, a brand-identifying pattern by senior associate Jessica Beck. Backdrops for photo ops are plentiful throughout, even in the restrooms, where backward messages on the wall read correctly in the mirror. While most customers’ iPhone shots wind up on social media, a magnetic wall tagged with Polaroids tempts those with old-school tastes. Neon signage welcomes customers to the 1,500-square-foot space. Photography by Chris Leonard/Gensler. 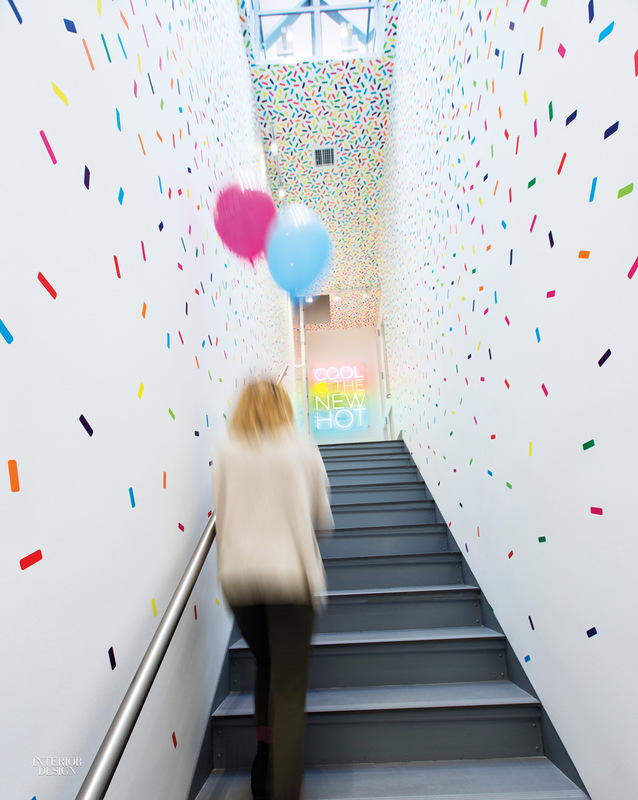 Custom vinyl wall covering wraps the staircase up to CoolMess. The stair and floors are clad in Mosa tile. Photography by Chris Leonard/Gensler.